Chris is a successful comedian and star of the BBC Two multi award winning comedy 'The Thick of It'. Chris Addison is a stand-up comedian, writer, and actor with a career that has spanned over a decade. Chris is known for his lecture-style comedy shows, two of which he later adapted for BBC Radio 4, as well as for his roles as Ollie in the BBC television satirical comedy The Thick of It and Toby in its spin-off film In the Loop. He also starred in and co-created ‘Lab Rats’, a sitcom that aired on BBC2 in 2008. 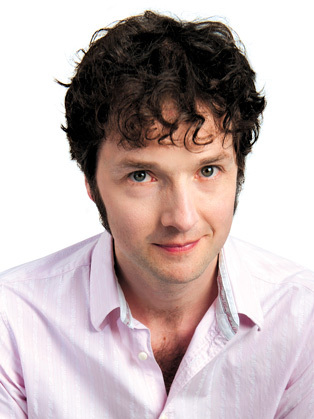 Chris Addison is a comedian, actor, writer and star of the award-winning The Thick of It. He has also hosted the finals of the Daily Telegraph Open Mic Awards and continues to tour the country with his own material. Already a seasoned stand-up, Chris made the move into TV hosting with Dotcomedy and writing for TFI Friday. Since then he has appeared on Have I Got News For You, Mock the Week, QI and 8 Out of 10 Cats, and now hosts his own panel show, Show and Tell. Arguably Chris is best known for his role as Olly Reeder, the enthusiastic-yet-cynical adviser in the hit BBC satire The Thick of It: a role he effectively reprised in the Oscar-nominated film In the Loop. He also plays teacher David Blood in E4's cult youth drama Skins. Those less familiar with these shows may know him better from a certain series of insurance TV ads. Chris co-wrote and appeared in Radio 4's political satire The Department, Sony Award-winning The Ape That Got Lucky and Armando Iannucci's Charm Offensive. He has also featured on Just a Minute, The Unbelievable Truth and 4 Stands Up. Along with many more TV and radio writing credits, Chris has written two books, Cautionary Tales for Grown Ups followed closely by It Wasn't Me: Why everybody is to blame and you're not. He has also contributed to the Evening Standard and the Guardian.